A peaceful Shakyamuni Buddha with humpback whales. 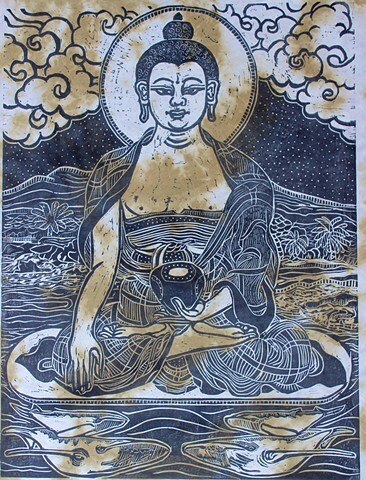 This piece merges my background in Tibetan thangka painting with Moku Hanga, traditional Japanese wood blocks. The setting is the Big Island of Hawaii during the humpback calving season.